Darts superstar Rob Cross came agonisingly close to a weekend title double. Having won Players Championship 13 in Wigan on Saturday (for a report on that click here), the world champion from St Leonards was runner-up in Players Championship 14 at the same venue yesterday (Sunday). The 27-year-old was beaten 6-4 by world number two Peter Wright in the final after winning six matches to get there, giving him 13 victories across the two days. Cross had his throw broken in the opening leg and Wright then held in the next. Cross pulled one back before Wright landed a 76 finish to restore his two-leg cushion at 3-1. 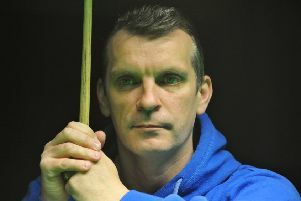 The former UK Open champion won the next two legs to go within one of victory at 5-1. Cross fought back to 5-4 and then missed three darts at double to level, allowing Wright to claim his first PDC title of the year by hitting double eight with his final dart in hand. Cross had enjoyed a fairly comfortable route through to yesterday’s final. He started the day by seeing off William O’Connor 6-4 in round one and then overcame Mark Webster 6-1. He followed that with 6-3 successes against Germany World Cup player Martin Schindler and then Ryan Meikle before registering 6-2 wins against Adam Hunt in the quarter-finals and Premier League runner-up Michael Smith in the semi-finals.